The pledge includes a call for Anthem to stop using members’ funds to lobby against meaningful health reform proposals being considered in Congress. 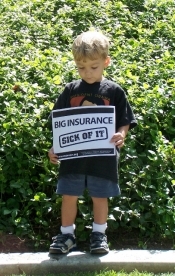 (Currently health insurance companies spend an estimated $641.000 dollars per day opposing health care reform, according to www.opensecrets.org). Organizers of the six actions statewide are members of California Health Care for America Now. 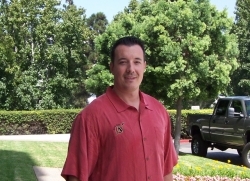 They were joined in San Diego by other organizations including Health Access, MoveOn, the California Labor Federation and the Service Employees International Union. 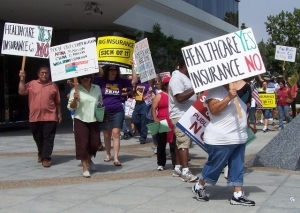 The California Health Care for America Now coalition claims to represent over 1100 organizations with 30 million people dedicated to winning quality, affordable health care that can be counted on. 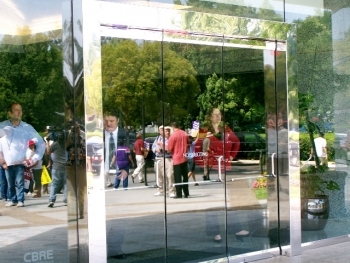 After a delegation of activist entered the offices to present their demands to the insurance company’s management, security and company officials denied further entrance and glared at the protestors from behind the glass doors. One protestor, Carl Manaster, observed, “Health care in America is terribly broken and the insurance companies are doing nothing to fix it.” He pointed out that Anthem and other insurance companies use the premium dollars that we pay for health insurance to stop health care reform that could be used to deliver better health care. 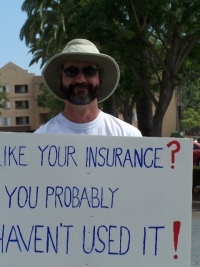 Several attendees took the megaphone to tell their personal horror stories at the hands of the insurance companies. 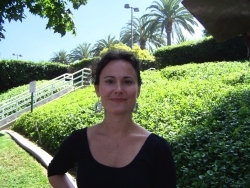 Alexa Kaplan said she hadn’t had a bad experience personally but feared for her son Nickolas. “Everyone should have health insurance” she said. 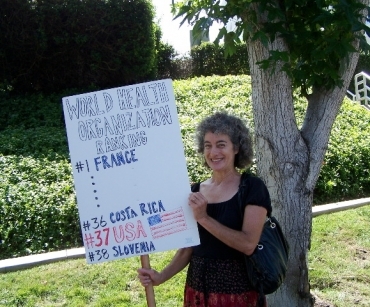 Marcia Bookstein carried a sign noting that the World Health Organization ranked the United States as 37th in the world – just ahead of Slovenia. When asked what should be done, he cited three measures: “One, no denying coverage for pre-conditions but that has to be balanced by spreading the risk to a much larger pool of insured people. In other words there must be a mandate to cover everyone without denying for pre-conditions, but also a mandate that everyone has to buy insurance.” “Number two, tort reform and number three, electronic record keeping” he concluded. Critics point to the spiraling cost of health insurance premiums and doubt that forcing people to buy insurance from private companies will solve the problem for those who can’t afford coverage. But one protestor at the rally says he’s found a solution—thanks to a government-run healthcare program.